In this beautiful morning, I want to present you the hottest topic to unlock Artoria Pendragon. Of course, you know very well about this character, right? Yeah, she is one of the best fighters in the game. Of course, in order to unlock her is not that easy as you think. There are some requirements that you need to know before you can get this powerful lady? Are you curious about it? Just stay tuned to the Fate Extella guide that I offer you. 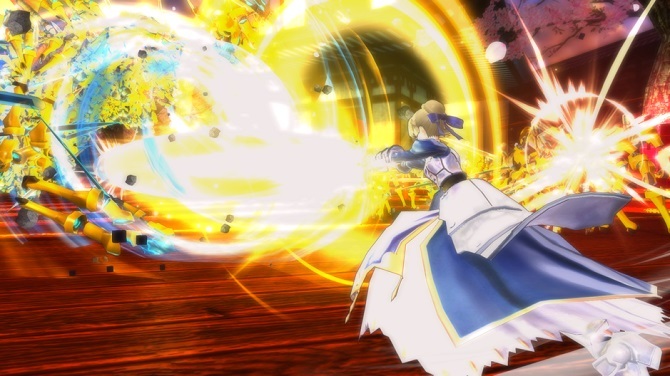 Fate Extella Game | Requirements to Unlock Artoria Pendragon! ⇒What you need to do first is set your time on the system settings. Set it between 3:00-4:00 PM (Game Version 1.01) If you already updated the game to 1.01 you don’t need to change your time setting. (This is really crucial if you in version 1.00) If you don’t set the time, Artoria Won’t appeared after you finish all the other requirements. ⇒Here, you need to go to the story mode. Select a random character and play the stage. You need to select the stage that which has the question mark (Mystery) on the side mission menu. And the difficulty level that you should choose is Normal or Hard mode. Tamamo’s Arc: Nameless will also appear randomly. Altera’s Arc: Chu Chulainn also makes an appearance. Special Arc in Tamamo Stage: Unknown boss will appear. ⇒Congratulation guys you just unlock her in the stage. After the mysterious message, she will make an appearance and challenge you to battle. Beat her and unlock Artoria right away! ( You need to beat her first and then Jeanne D’arc. If you beat Jeanne first, the stage will end you won’t be able to get her. That’s the way to unlock her. In my opinion, her skill is really awesome. From the combo and damage all of it really superb. 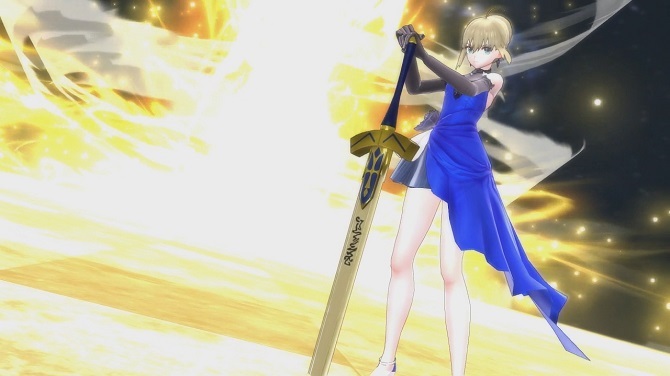 Especially her Noble Phantasm, Excalibur, it can destroy all enemies on the land for sure. Okay, guys, I think it’s enough for today article about Fate Extella Atoria Pendragon guide. If you confuse with my Fate Extella guide, just PM me or write down in the comment section below. I’ll help you for sure! Have a nice day and see you all again next time.